You’ve probably already heard the statistics about how quickly medical knowledge is doubling (in 2010, medical knowledge doubled every ten years, by 2020 it will double every 73 days) but the massive increase in new knowledge physicians need to gain is only half of the problem. The other half is the amount of foundational medical knowledge physicians are losing. The knowledge that physicians acquire in medical school forms the building blocks for good patient care decisions throughout their careers, so it’s important to understand how much this erodes over time. Research suggests that students begin to forget what they’ve learned very quickly. Educators studying K-12 students have observed a “summer setback” where students lose a significant amount (at least a month) of what they learn during the school year over the summer. The summer setback is greater at higher grade levels, especially for skills like math and science. 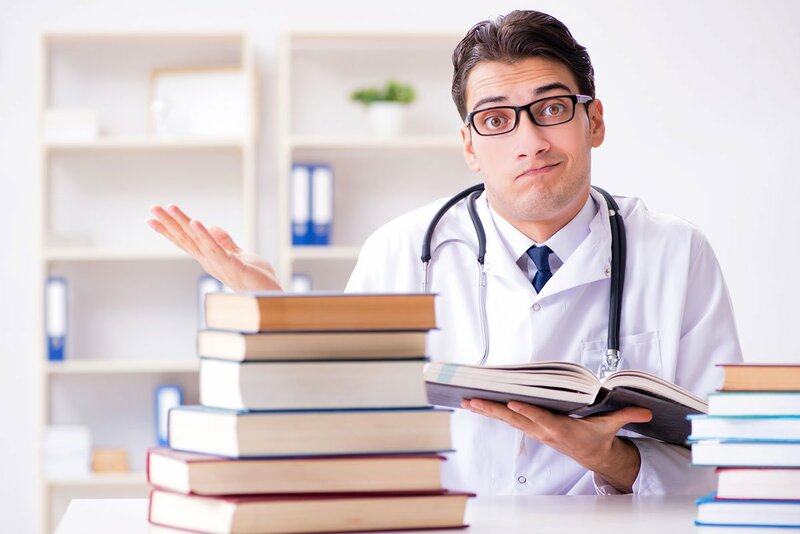 In a different study, which looked specifically at doctors’ long-term retention of basic science, researchers found a precipitous decline in the knowledge physicians gain from medical school. One year out of medical school, doctors retained two-thirds to three-quarters of basic science, which decreased to approximately fifty percent two years out. Our own data supports their findings. For all doctors (including both experienced doctors and recent grads) taking our internal medicine board review pre-test, which measures knowledge of internal medicine basics, the average score was 56%—a failing score. What implications does this loss of knowledge have for patients? A recent study that reviewed 736,537 admissions across 18,854 hospitalists found a correlation between physician age and their patients’ 30 day mortality rates, even when adjusted for patient characteristics. The adjusted 30 day mortality rate was 1.3 percentage points higher for physicians older than 60 than for physicians age 40 and under. Interestingly, this trend was not observed among physicians with high volumes of patients, leading the authors to hypothesize that after the intense exposure to patients during residency, those physicians who do not see as many patients in their practice lose some of the important knowledge and skills that lead to better patient outcomes. Physicians may not be terribly concerned about losing foundational medical knowledge in the age of Google and products like UpToDate. However, as the amount of time physicians get to spend with patients continues to shrink, time to look things up decreases and a strong working base of knowledge becomes more important than ever. Physicians build up strong knowledge muscles in medical school. To prevent them from atrophying, they need to flex them on a regular basis. Regardless of how you feel about Maintenance of Certification requirements, the MOC exam can serve as a forcing function to revisit the fundamentals at least once every ten years—a good start, but not nearly often enough. Physicians need to build regular time into their schedules to revisit the fundamentals. Not only will this enable them to deliver better care, but it will alleviate the need to cram before the next MOC exam. Just like voting, learn early (re)learn often. Looking to brush up on the basics? Knowledge To Practice provides tools to help physicians master foundational knowledge in half the time. Learn more.